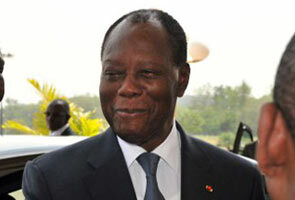 ABIDJAN: Ivory Coast president Alassane Ouattara has told his country's footballers he will double their World Cup win bonuses if they beat Greece. The Elephants can guarantee their place in the knock-out stages with a victory over the 2004 European champions in Fortaleza on Tuesday. Currently they are due 16 million CFA francs (US$24,400, 17,900 euros) per player for a victory but that will double to 32 million CFA francs in case of success against Greece, an official source said. The source added that the initiative was aimed at "giving the Elephants extra motivation" to reach the knock-out rounds for the first time in their history. They are currently second in Group C on three points after a 2-1 victory over Japan was followed by a defeat to Colombia by the same score. A draw would definitely be enough for them to progress as long as Japan don't beat Colombia in their final game. A defeat would see Ivory Coast eliminated. While such a sum may not make much difference to the likes of Manchester City's Yaya Toure or Galatasaray's Didier Drogba, both of whom earn considerably more than that every week at their clubs, it would certainly be welcomed by reserve goalkeeper Sylvain Gbohouo, the only member of Ivory Coast's squad still plying his trade in his homeland. Let's Talk: Greater Ulu Muda - What Does It Represent Ecologically?